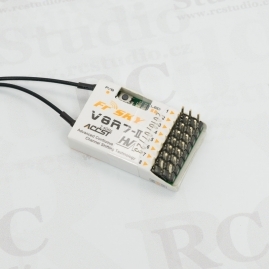 Compatible with all FrSky modules (V8 & D), receive only (V8R4-II can talk in either mode, but it does not send telemetry information back to the transmitter). The V8R4-II features the FrSky ACCST (Advanced Continuous Channel Shifting Technology) an advanced technology. The ACCST 2.4GHz system shifts the frequency hundreds of times per second. This means there are no signal conflicts and interruptions. 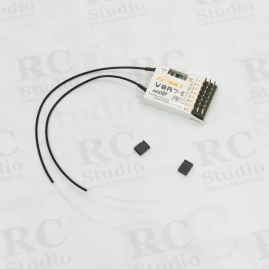 The V8R4-II FrSky lightweight receiver is a great fit for small Park Fliers, 3D foamy and indoor slow flyers. Weighing in at a scant 3.5 grams, this is the perfect receiver for these types of applications.